So – hands up! Who has handmade things amongst the pressies they’re wrapping for Christmas this year? You have? Hurrah! Here are some of the things I’m wrapping… Believe me, it’s been rather hard not to keep them for myself! 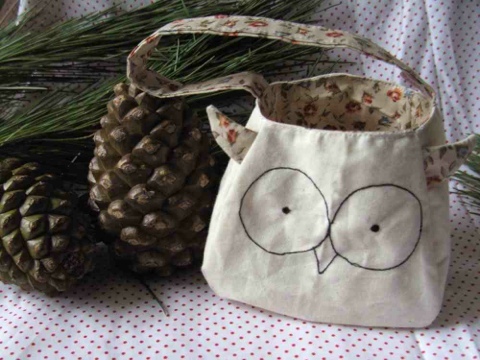 This sweet little owly bag is made by FruteJuce – I’m going to fill it with little treats 🙂 It’s beautifully made, and you can choose the material for the lining. 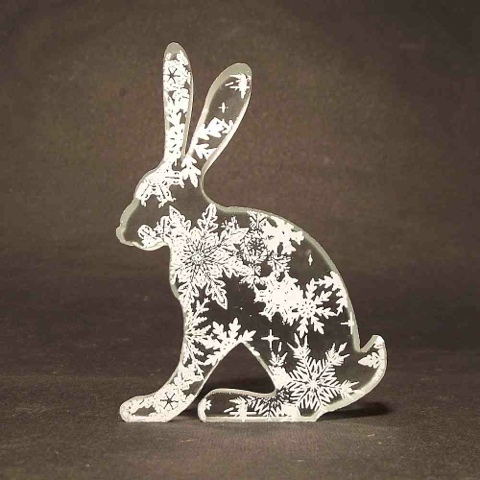 Rachel Elliott is such a talented glass artist! I’ve been eyeing up her lovely leverets for ages! I’m afraid that these beautiful earings by Alison Moore are NOT going to be wrapped. I was very good for nearly a week after they arrived, but finally crumbled and I’m wearing them right now! 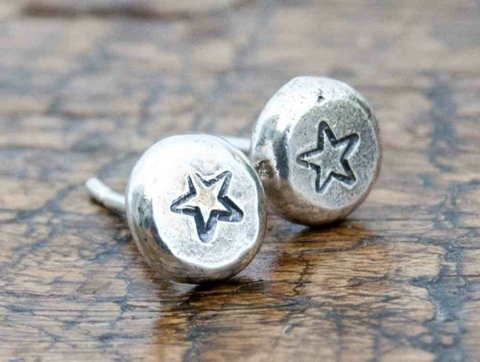 I love the mixture of elegance and rustic charm Alison breathes into her work – I have seven pairs of her earings now, next on the list are her stacking rings! So apologies to XXXXXX who was going to be getting earings for Christmas, but will now be getting something else! Ooooops!